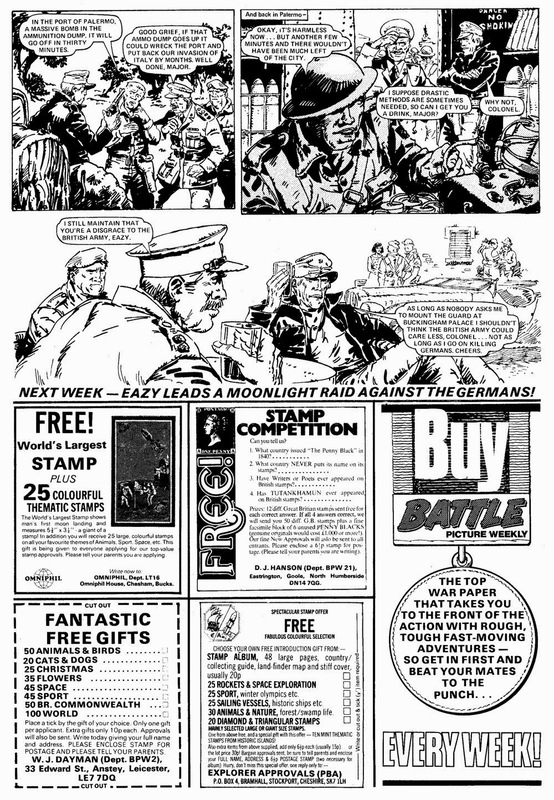 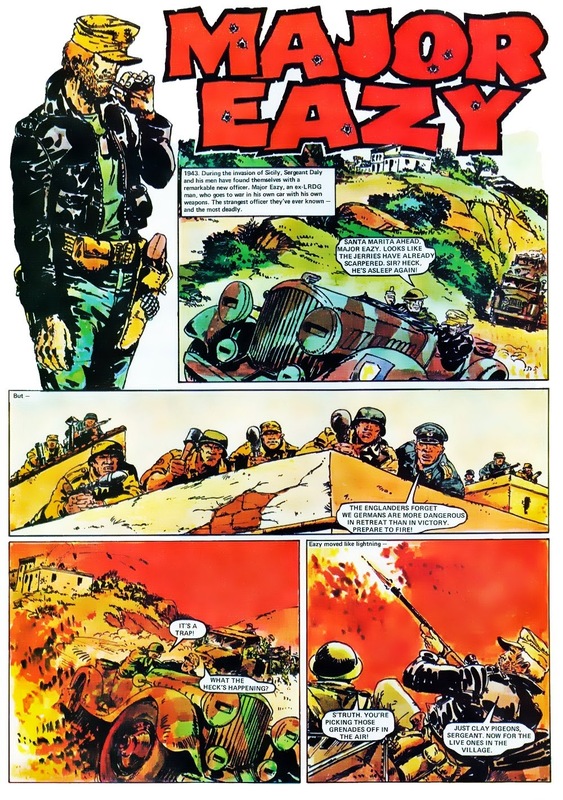 Been a while since we checked out Major Eazy, and I didn't have full strips to show off before, so let's have another look at Battle Picture Weekly's laziest, deadliest slacker soldier. 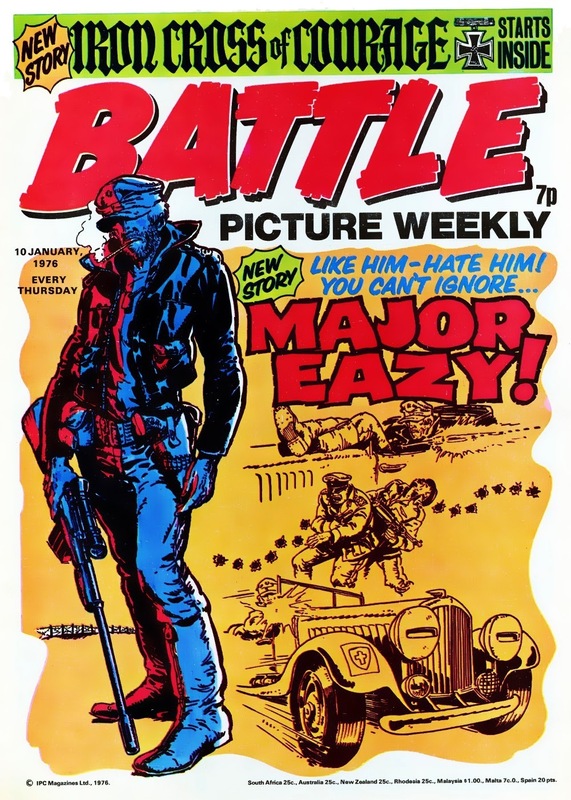 As played by James Coburn, Eazy belongs to that '70's filmic tradition of modern day heroes incongruously popping up in World War 2 stories. 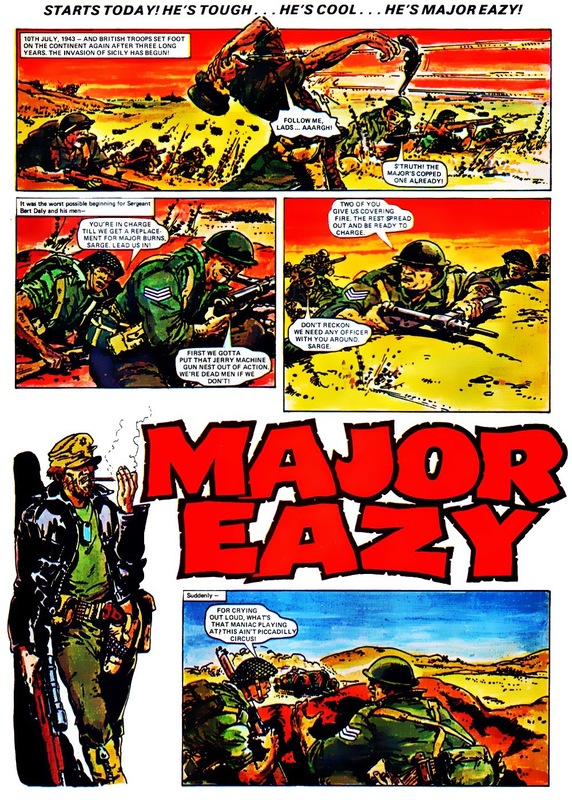 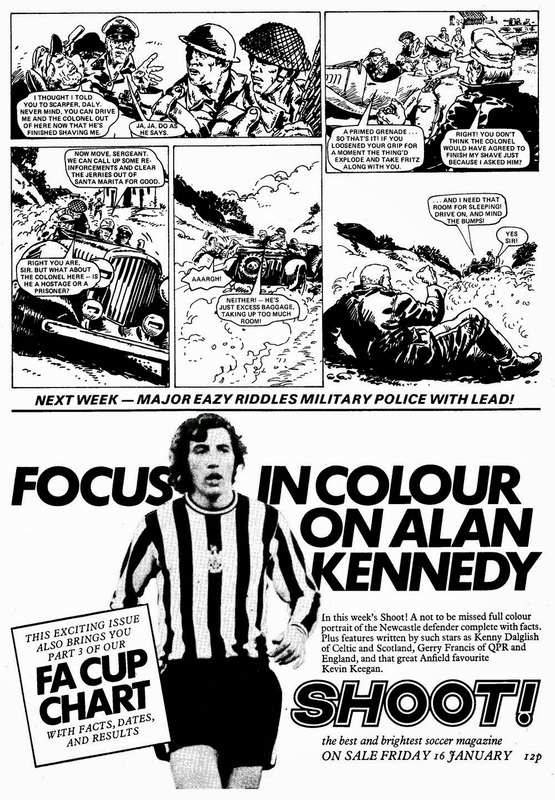 Like Donald Sutherland in Kelly's Heroes, Eazy is a man from 1976 transplanted into 1943, with no one batting an eye. 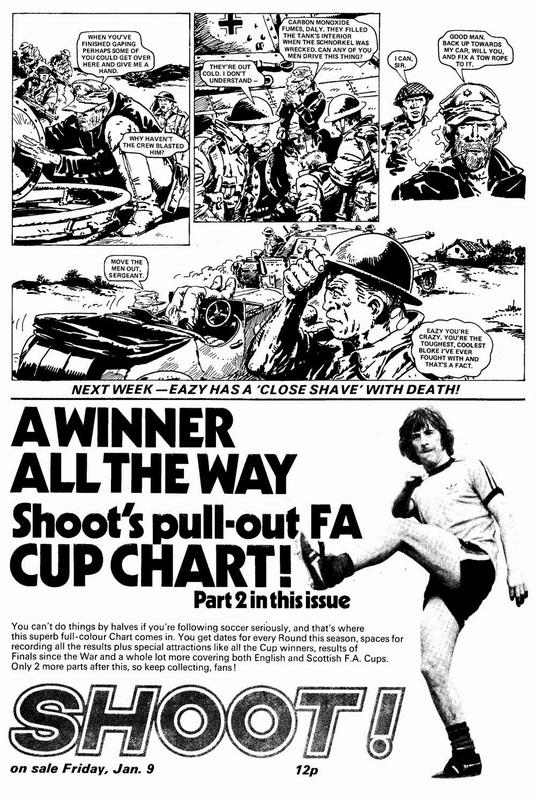 He's also a bit Clint Eastwood, as seen when writer Alan Hebden here rips off the barber scene from High Plains Drifter. 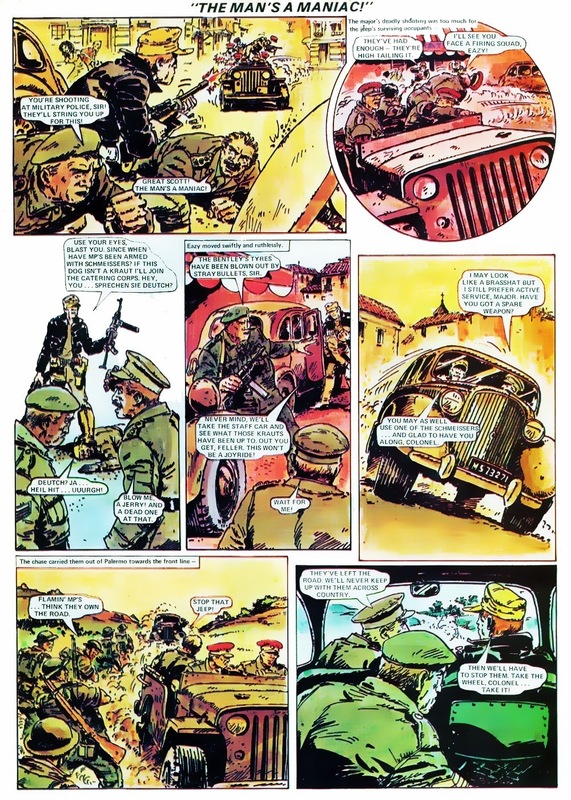 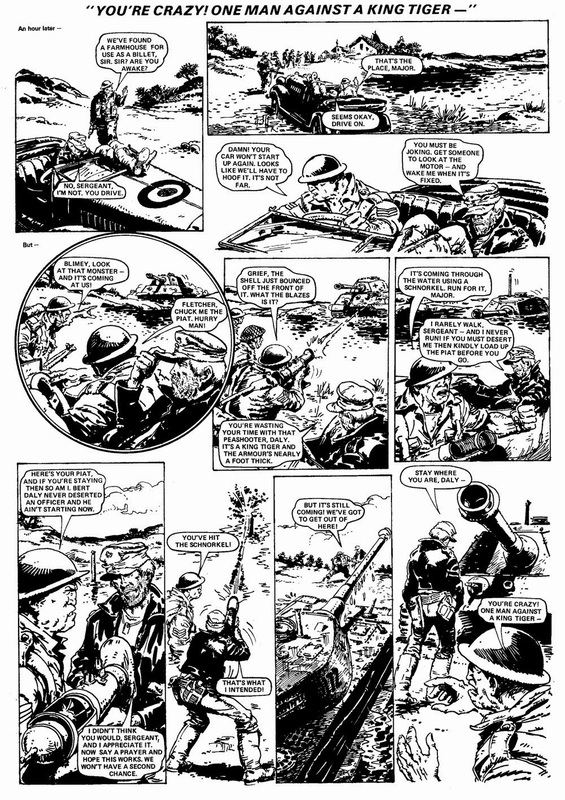 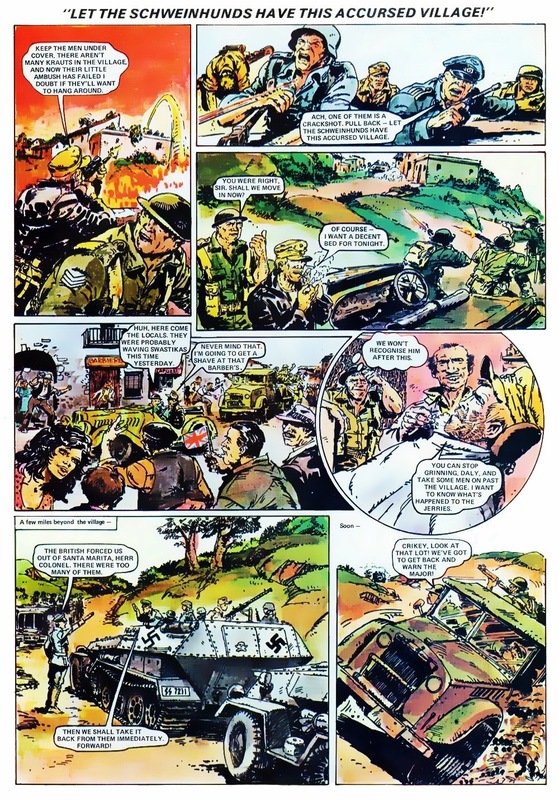 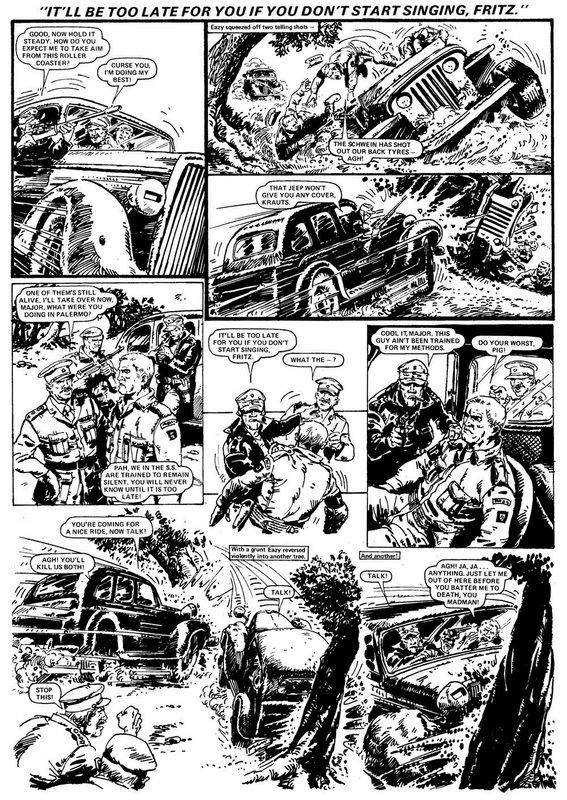 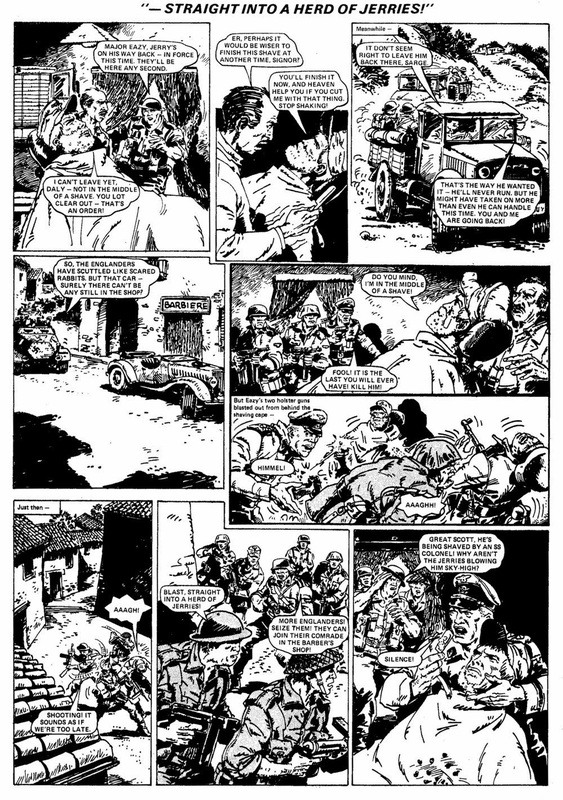 This was one of Carlos Ezquerra's first major British strips, and it's all wonderful stuff, already showing the chops that'd make him a fan favourite in 2000AD. 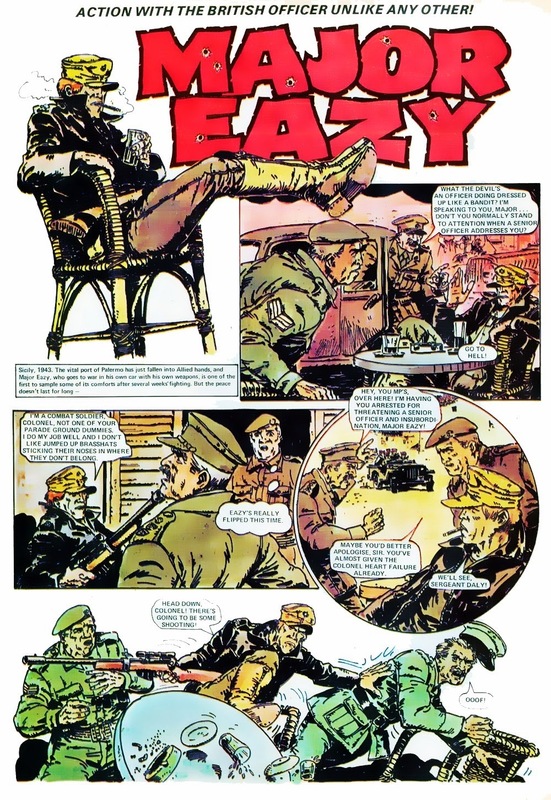 Here, he's also clearly influenced by Hugo Pratt, Eazy looking not unlike a scruffier Corto Maltese. 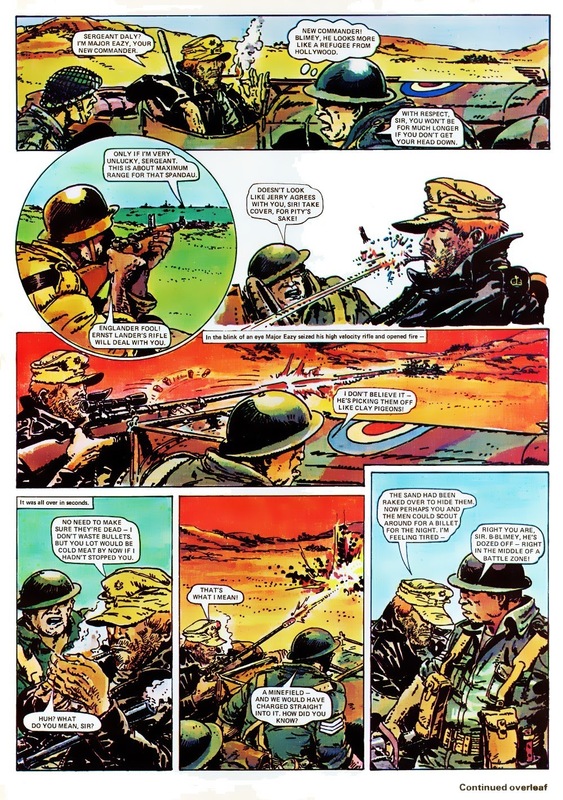 So, James Coburn, Clint Eastwood and Corto Maltese. 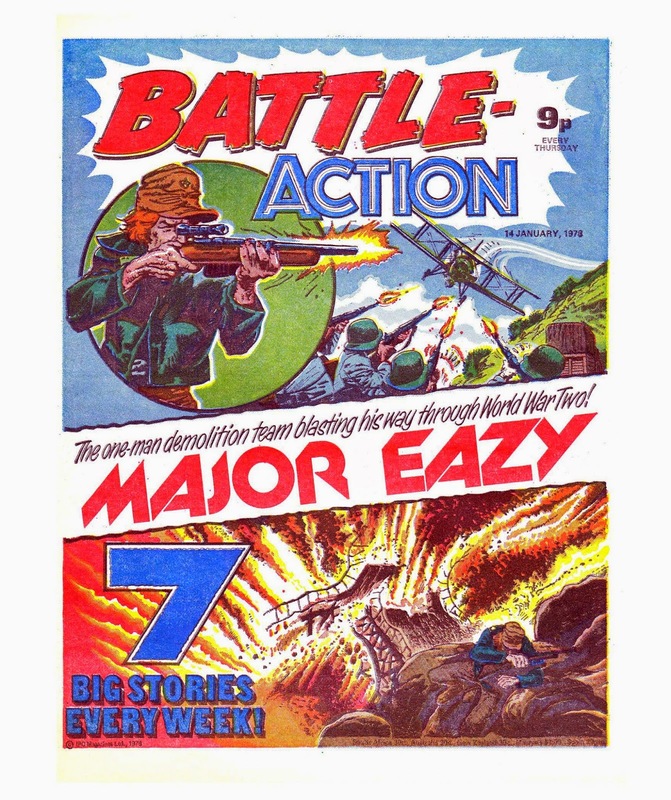 If you're going to come up with a new tough guy war hero, them's not bad influences to have. 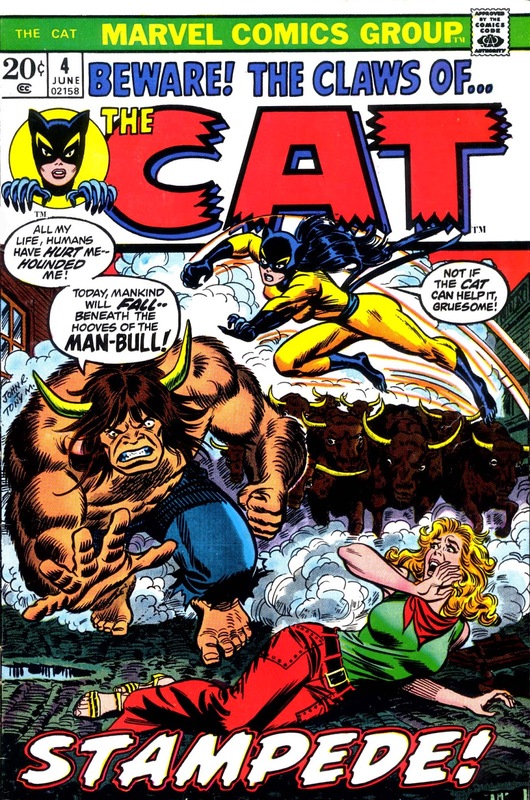 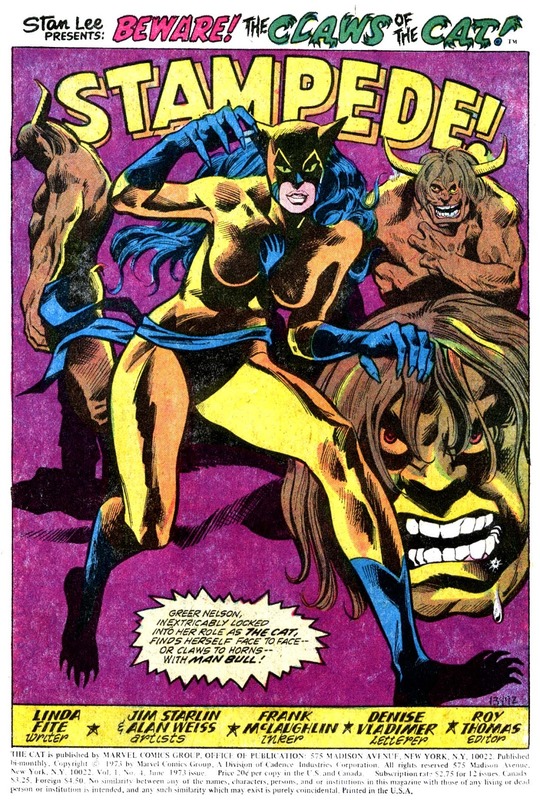 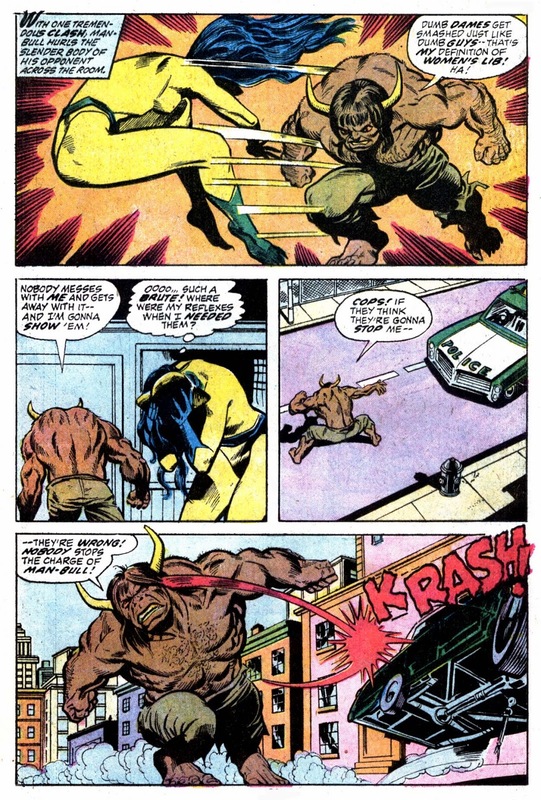 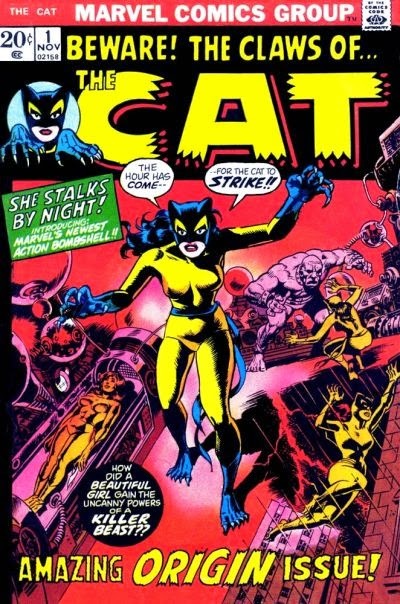 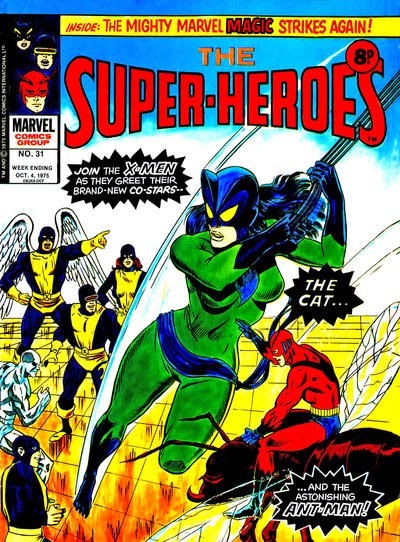 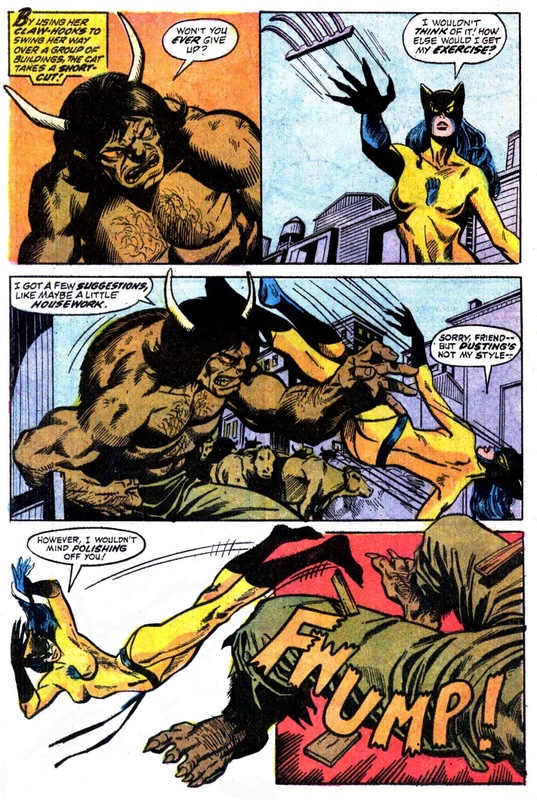 I really liked The Cat and was disappointed when she became Tigra, and then when her costume went off and had a solo career of it's own as Hellcat. 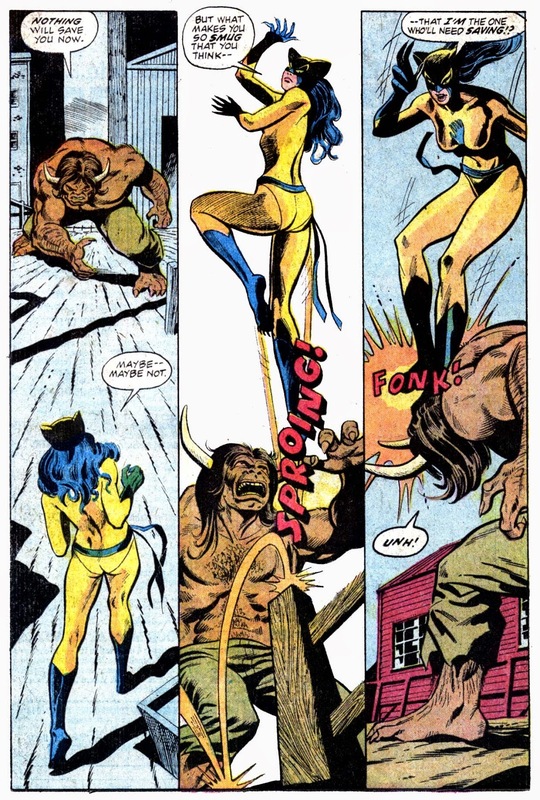 I don't know why I liked her, clearly nobody else did, as her comics career only lasted a meagre 4 issues ( even Black Goliath beat her! 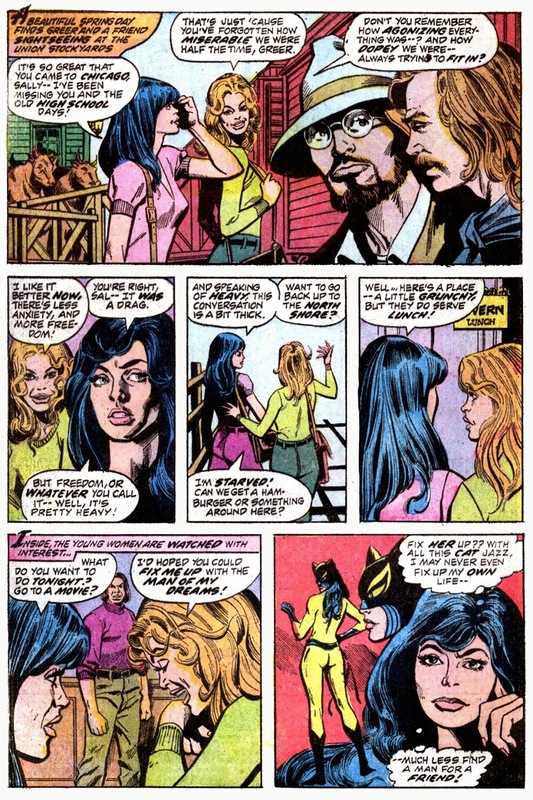 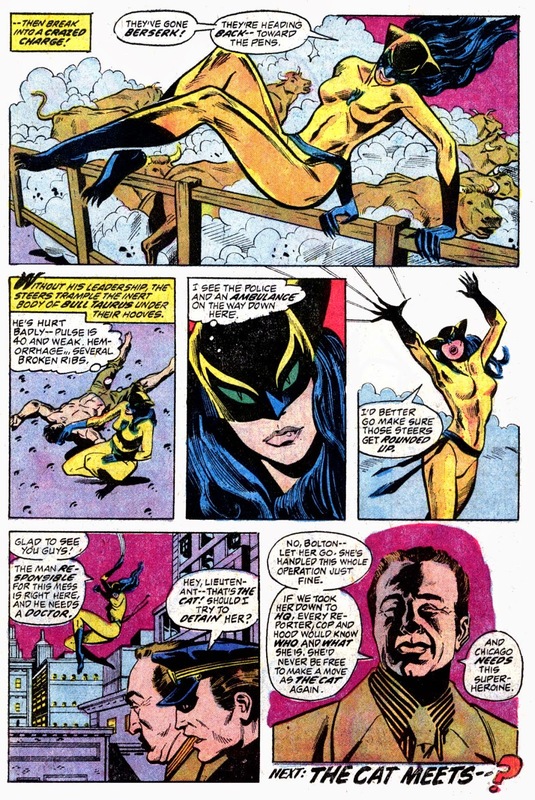 ), but there was something about this slightly tokenistic feminist mini-period in Marvel's history ( that also included short series for Shanna The She-Devil & Night Nurse ) that I thought was fun, and a bit different. 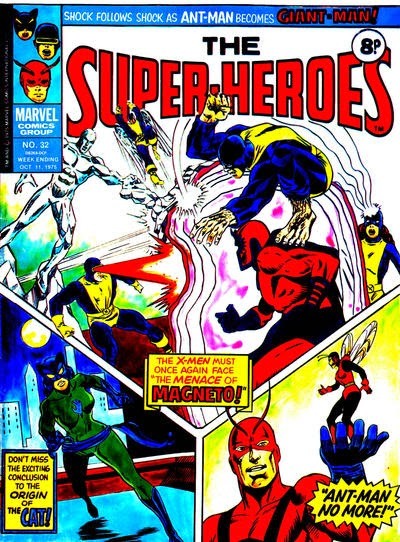 That we first read over here in glorious black & white, in Marvel UK reprint weekly The Superheroes. 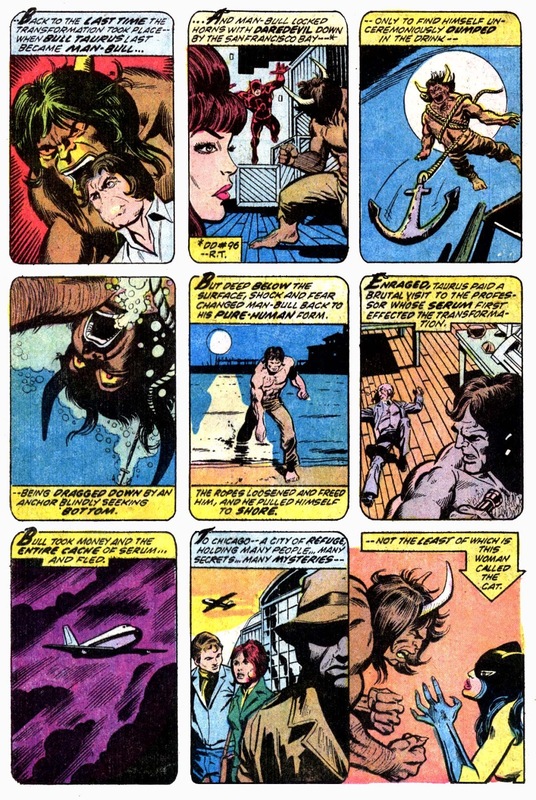 Or maybe it was simply the thrill of having a brand new character you could get in on the ground floor with, after all I have similar residual affection for fellow also ran's / never was's like The White Tiger or Jack Of Hearts, to name but two. 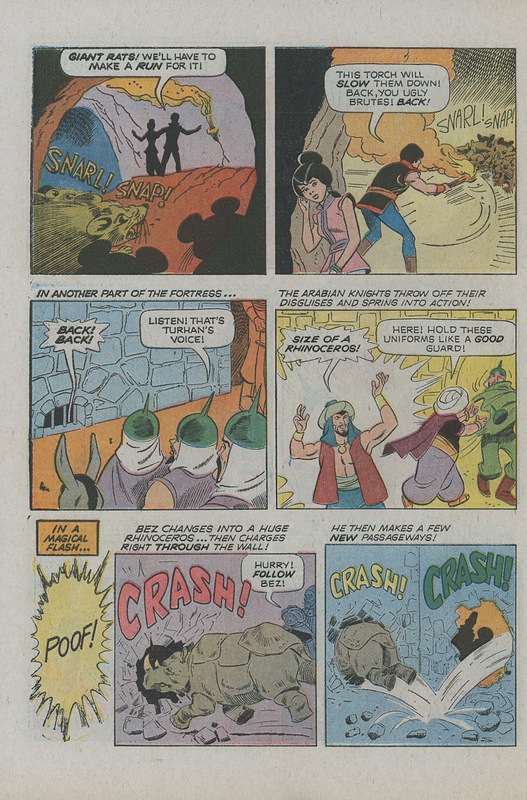 I'm sure you've all seen the first issue somewhere on the net, so for once, let's have a look at the last issue, with art by Jim Starlin & Alan Weiss, both of whom cameo on pg. 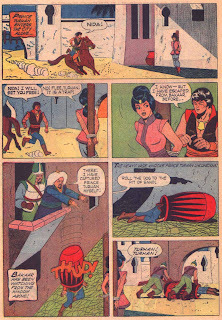 2 of the story. 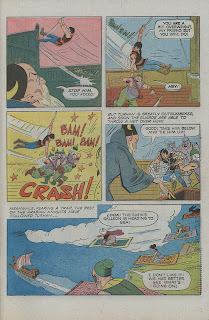 In an interview with Shaun Clancy for Back Issue, Starlin gave the background to this issue: ' I got the job and he ( Weiss ) lived down the block, and the job needed to be done in two days, and we were pretty well loaded the whole time we were working on it. 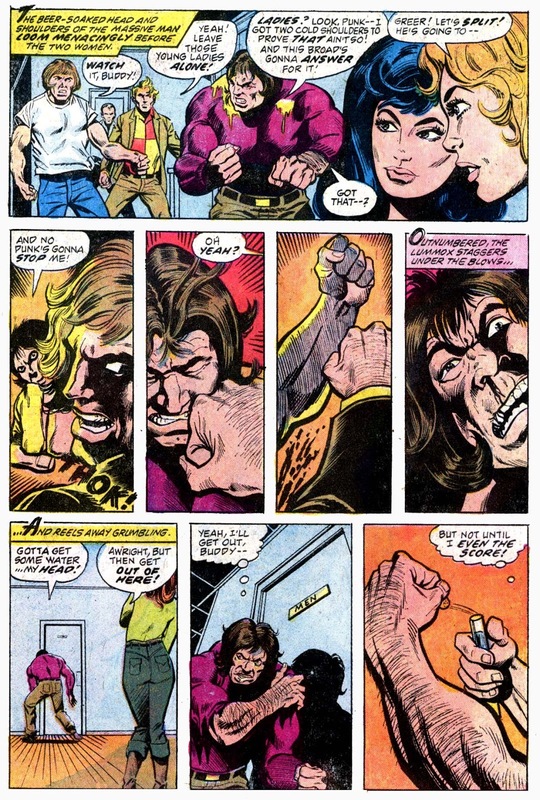 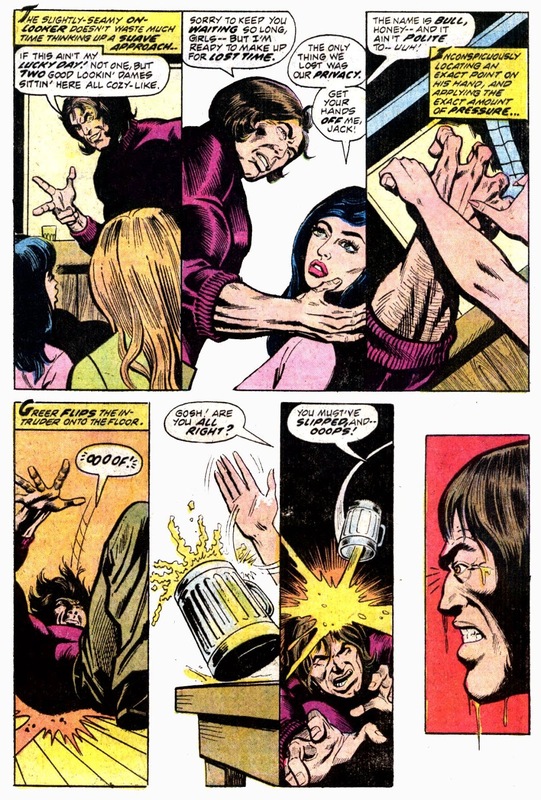 My girlfriend was bringing us a round of wine, we were partying, and later on Alan Kupperberg came over and helped out a little bit'. 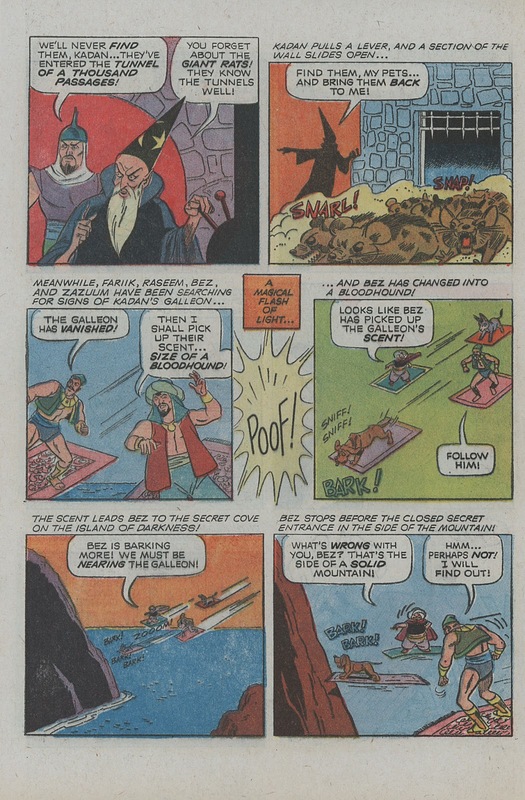 I don't know about anybody else, but my favourite cartoon segment of The Banana Splits was always The Arabian Knights, a team of superheroes in all but name. 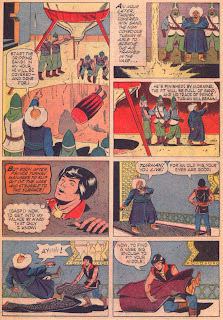 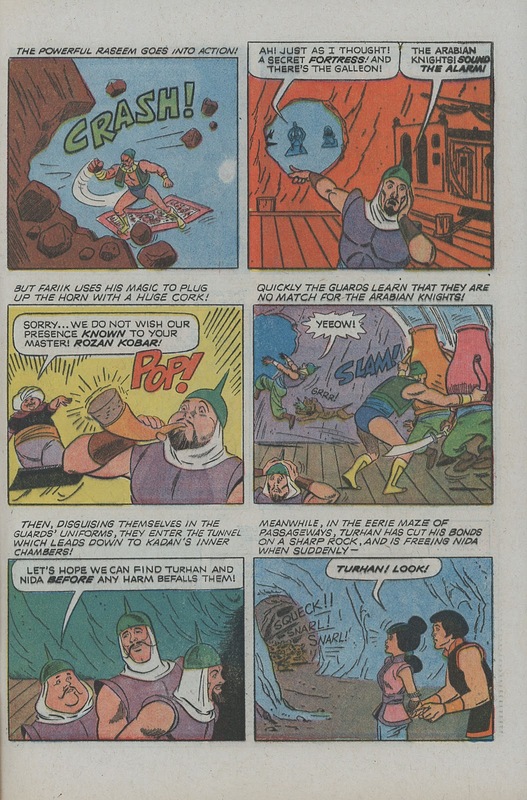 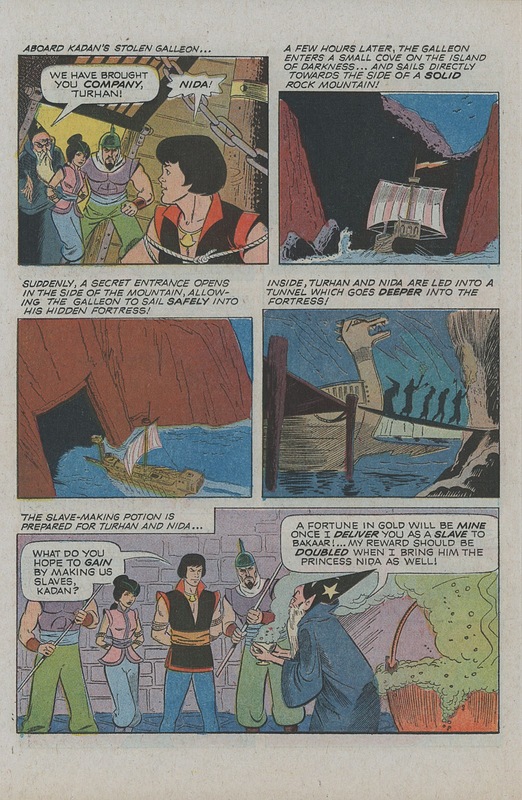 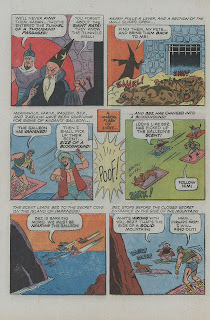 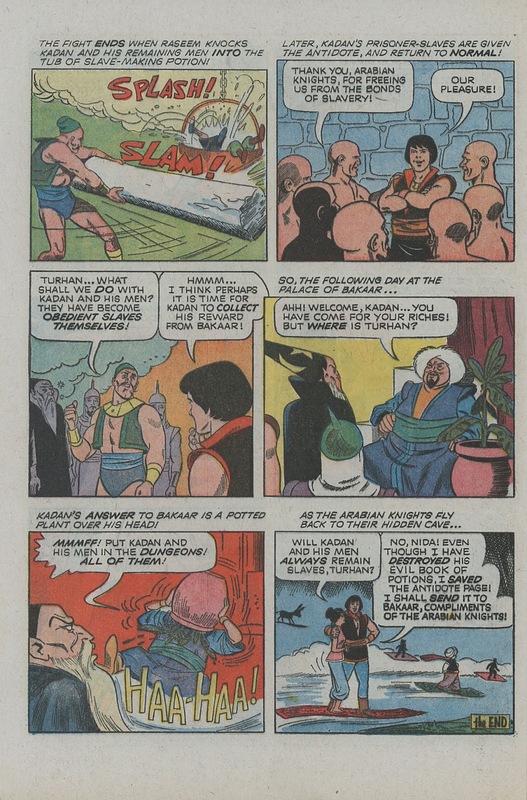 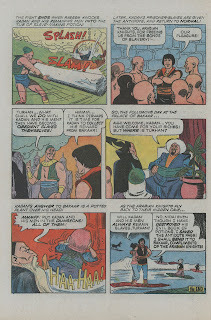 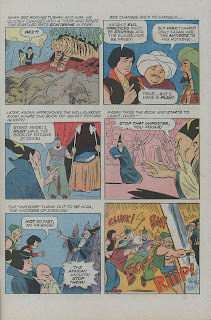 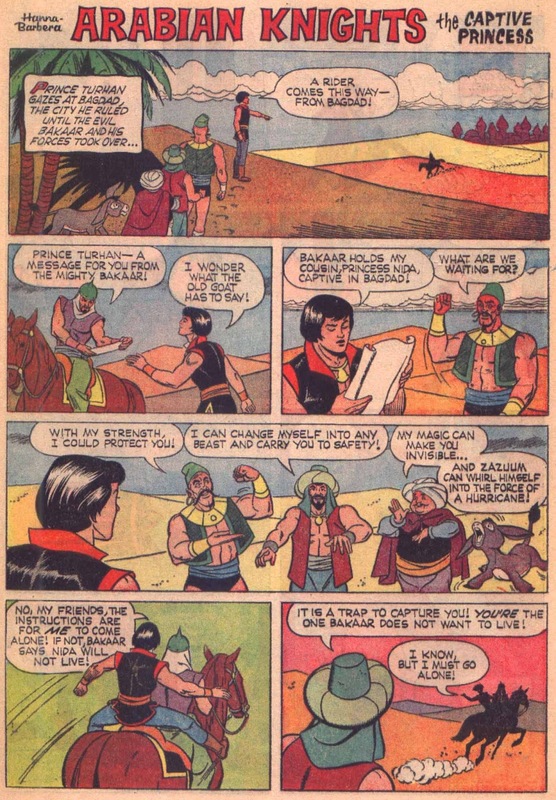 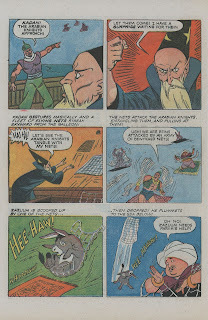 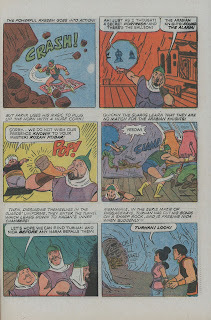 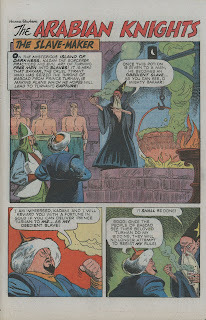 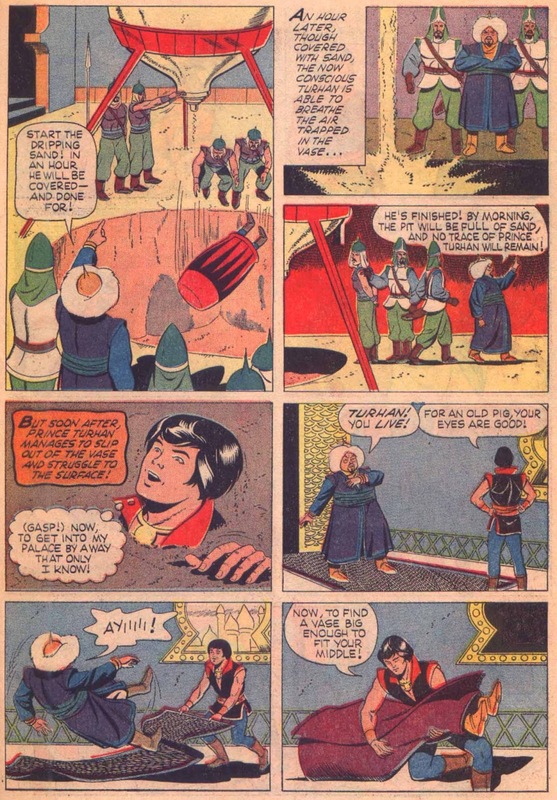 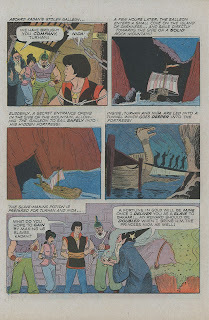 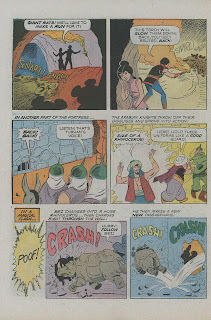 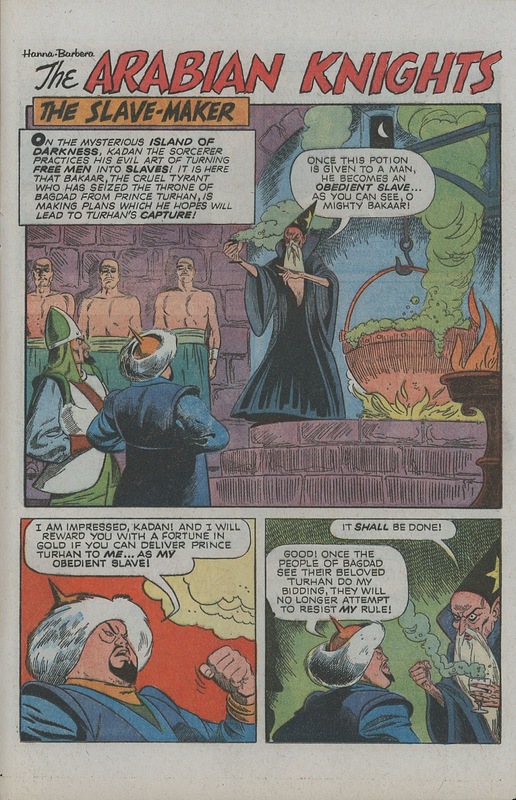 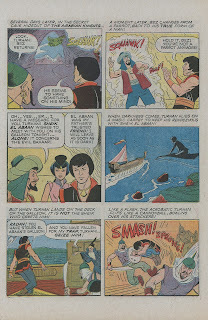 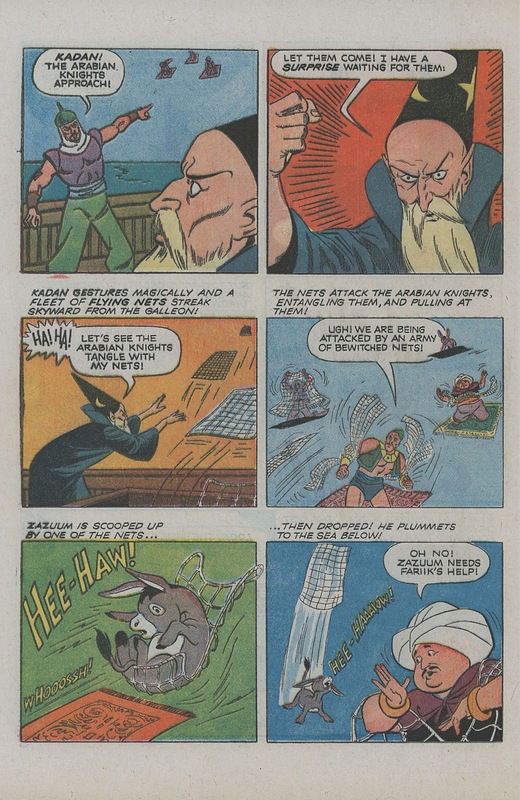 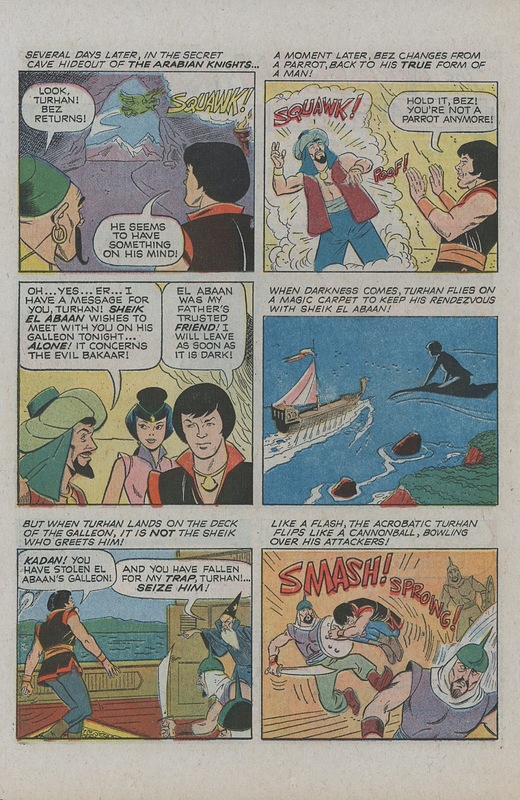 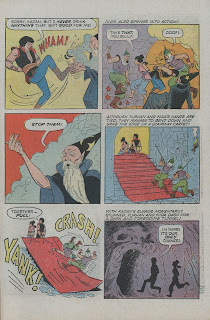 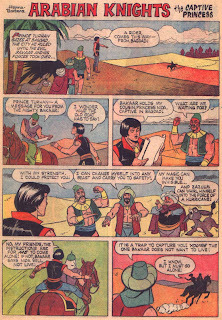 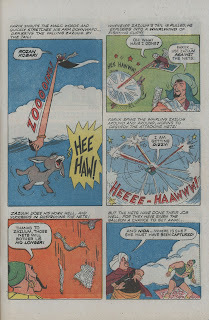 The Knights never had much of a comic book career, only appearing in two issues of Gold Key's unwieldingly titled Hanna Barbera Hi-Adventure Heroes back in 1969. By the 2nd issue however, Gold Key have wised up and everybody gets to do their party tricks, and it's all much more like the show, which is after all what we paid for. 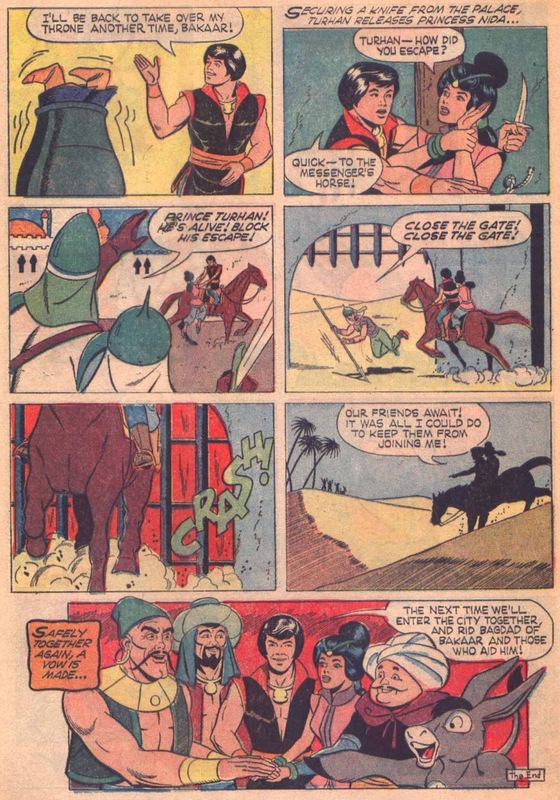 There's elements of Ernie Colon in the artwork here, though I'm sure it's not him, but wouldn't a full scale Arabian Knights by Ernie've been great? Him or Alex Toth anyway.